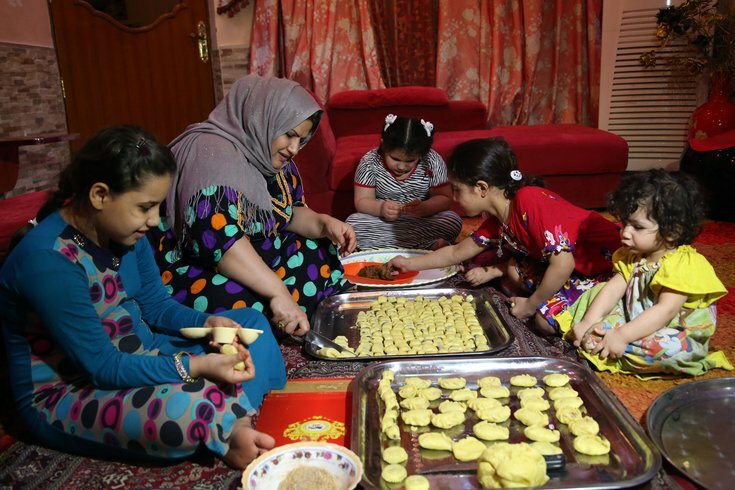 An Iraqi mother and her children prepare Eid cookies for the upcoming Muslim Eid al-Adha holiday on Tuesday, Sept. 22, 2015. Mastery Charter Schools, which operates 21 schools in Philadelphia and Camden, has voted to observe two major Muslim holidays, Eid al-Fitr and Eid al-Adha, next school year, CBSPhilly reports. CBSPhilly reports the Mastery Charter Schools system has a Muslim population of 5 percent to 20 percent. CBSPhilly has previously reported there are more than 200,000 Muslims living in Philadelphia alone. Philadelphia Muslims have been urging City Council to consider the official observance of these holidays, which would mean days off for the Philadelphia School District schools and paid time off for city workers, though nothing is in place at this time. Read the full report at CBSPhilly.